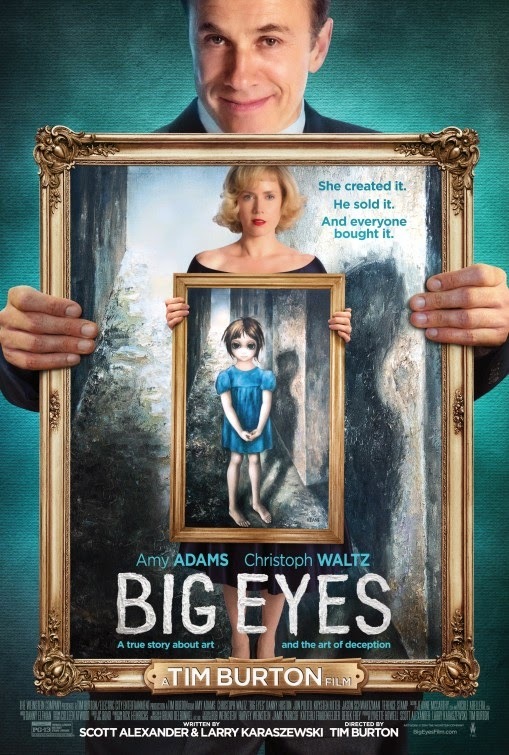 I recall first seeing the trailer for Big Eyes and immediately being excited for it. First off, it has a cast of actors I like, led by Amy Adams and Christoph Waltz. Secondly it was directed by Tim Burton, one of my favorite directors. Beyond those facts, there was something else that lent me hope this would be a good film, that is it appeared the subject was something personal to Burton, it wasn't a remake of something else, which has made up the bulk of his output over the past decade or so. All of this combined to make this a must see, a hopeful film of quality for this fan. Having seen the film, I am happy to report it is quite good and was more or less what I was expecting. It almost felt like Burton was attempting to recapture the magic he spun with Ed Wood. No, it does not reach those heights, but you can tell this is something close to his heart. There is something in the way he frames his shots, there is love there. It is a love that was missing from the likes of Dark Shadows and Alice in Wonderland (and a few others). It is the sort of movie that re-instills faith in his love for the medium and desire to put himself into his movies. 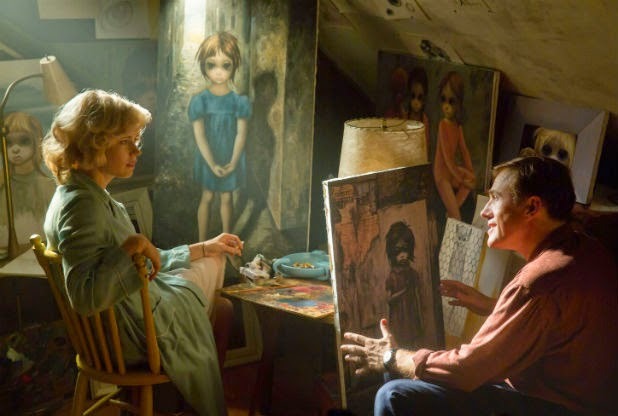 Big Eyes is the story of Margaret Keane (Adams), an artist famous for paintings of children with big eyes. This chronicles her meeting and subsequently marrying Walter Keane (Waltz). It then shows how he passed himself off as the artist, building an empire on the efforts of his wife, who never spoke a word of the deception until years later when she felt empowered enough to take back her love. Yes, it suffers some of the problems I have with biopics and it doesn't really feel classically Burton. Still, it is an endearing film that entertains throughout. Not knowing much about Keane, I was interested in watching this story develop. The two leads delivered strong performances. Amy Adams was nicely subdued, emotional, and carried a lot of emotional weight. Christoph Waltz, on the other hand, was deliciously hammy. It was an over the top performance that showed him being goofy, romantic, and charming, while also being manipulative, selfish, and controlling, all the while with a smile on his face. Big Eyes is as endearing as it is linear. While I liked it and the seeming personal nature of the subject, it still keeps a little distance from the inner workings of what was happening. There are a couple moments of potential depth with an art critic, portrayed by Terence Stamp, but that ended up as some flavoring rather than a depth providing element. It is easy to see there is room for more granular storytelling, digging into socio-artistic themes and the role art plays and if it can be popular, or even created by a woman. Rather than dig into the crevices that offer cinematic heft, everything is given a haze as it is held lovingly rather than critically. It is an odd balance struck that is likely to leave some on the outside, but while I do think more could have been done, it is hard not to enjoy it and see Burton work in something of a stripped down fashion with a cast he has not worked with before. 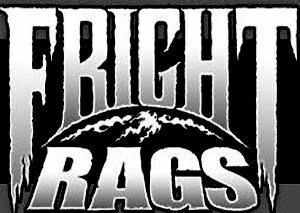 Yes, I like the film, no it is not great, but it is definitely worth spending time with.